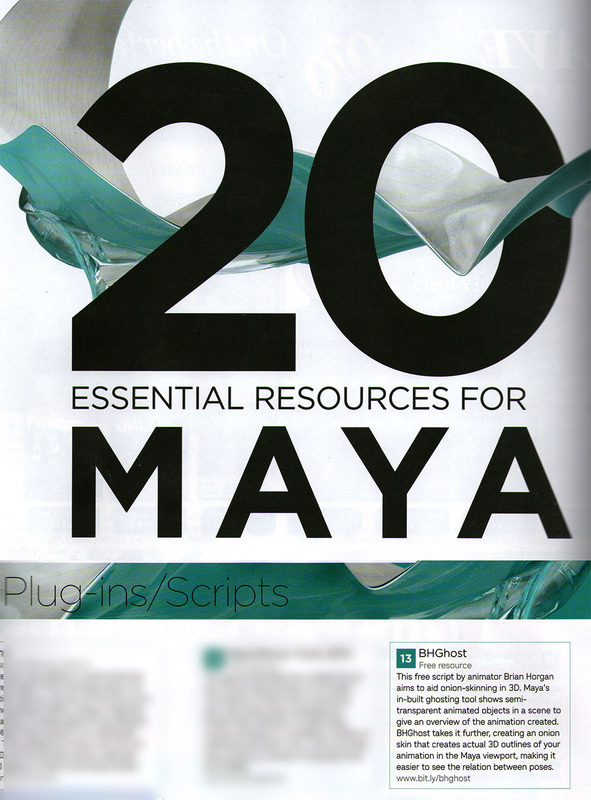 My ‘bhGhost’ tool for Maya has been listed in an article on ’20 Essential Resources for Maya’ in 3D World Magazine (Dec 2013 issue). 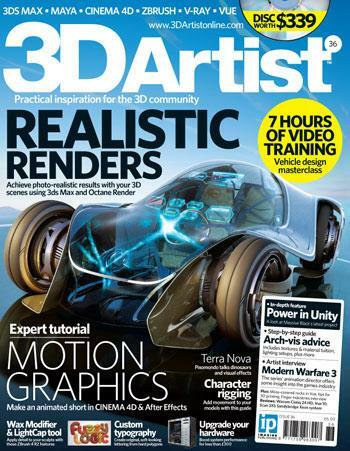 The ghosting tool has also been featured in 3D Artist and 3D Creative Magazines. 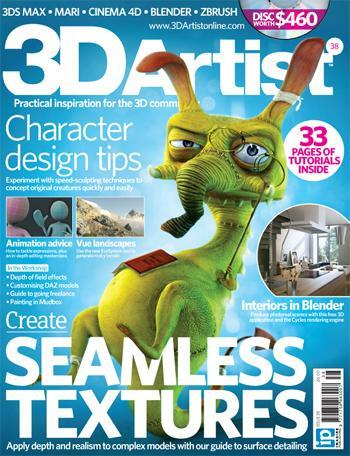 I've created tutorials for 2 Issues of 3D Artist Magazine (text and narrated video), one covered rigging a character, the other demonstrated how to animate a cartoon-style 'take'. 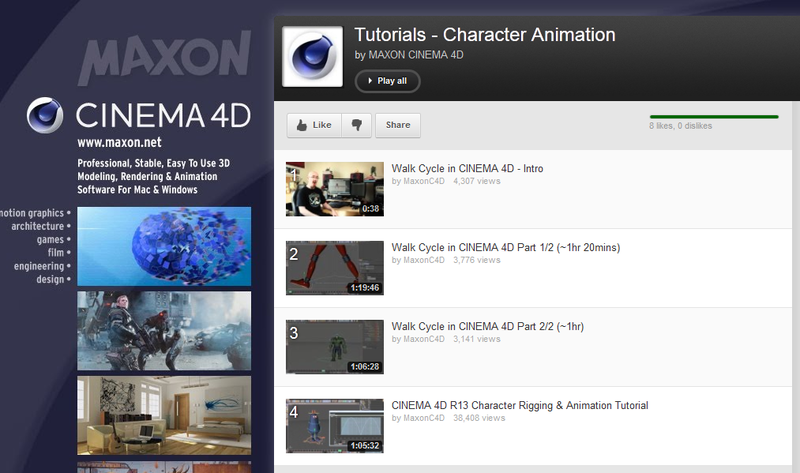 My mentor at iAnimate, the awesome Angie Jones, featured me on the Thinking Animation blog in one of her Student Spotlights. All work on this website (C) Brian Horgan 2013. All Rights Reserved.